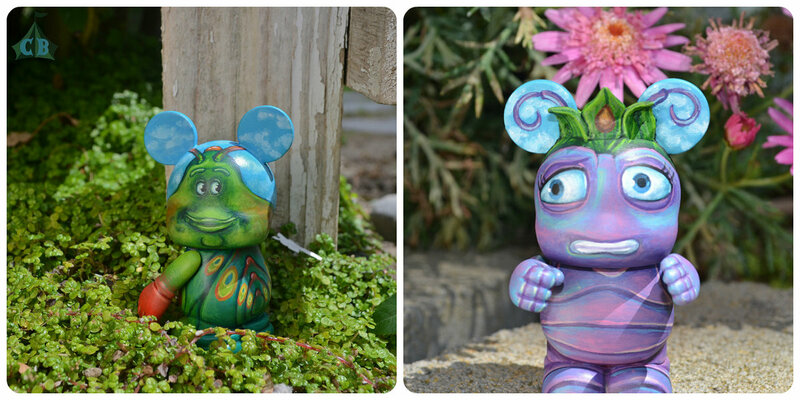 This set was inspired by the insect characters from Disney/Pixar’s 1998 release A Bug’s Life . It features many of the beloved heroes, villains, and wildcards from Pixar Studios second movie. This set features 12 designs, followed by one Mystery Chaser. For full photos of the set please visit my Flickr stream. 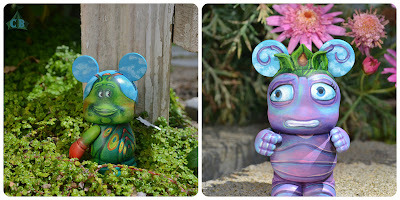 The series will go up for sale on the Facebook group: Vinylmation Exchange Customs. 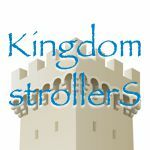 On Sunday May 12 at 7:00 PM PST the official post will open. There are 12 bugs available for purchase, so the first 12 people to claim their box on the post will secure a their bug. Limit one bug per person. This purchase includes one randomly assigned character from the set, as well as a signed artist card. Each box will sell for $90, with shipping expenses included. I saw these customs in person at the trading night. These pictures don’t the figures enough justice. To see these in person the details are incredible.